Taken from Lil Dicky's new album 'Professional Rapper'. 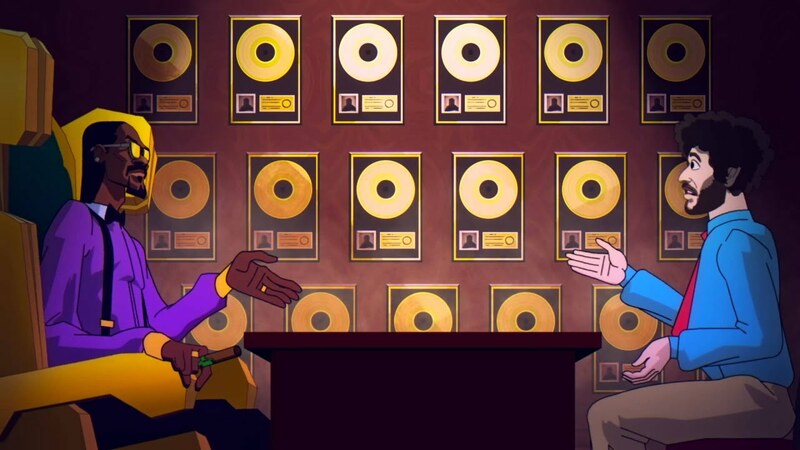 Lil Dicky has released an animated music video for his new single ‘Professional Rapper’, featuring Snoop Dogg. Directed by Al Levine and Doug Olsen, the funny clip sees Lil Dicky play an upstart rapper trying to land a job, while Snoop Dogg does his best Hip-Hop boss impression. Dicky makes a series of funny yet true critiques of the genre and adds some slick rhymes. Lil Dicky’s debut album ‘Professional Rapper’ is out now and features guest appearances from Fetty Wap, T Pain, Rich Homie Quan, and more.